This is your team's virtual meeting room. Once created, invite others and start your discussion - no scheduling required. Ask questions, get feedback and hash out ideas with your team. Make better decisions with all the context you need in one place. When you're done hearing from everyone on a thread, highlight the decision so everyone is on the same page. We have almost entirely gotten rid of email. Whenever people send an email, the common response is, 'Put it on Threads! As we continue to grow quickly, Threads has been vital in helping us capture discussions and decisions in a centralized way. Threads has supported our growing company by keeping communication fluid and everyone aligned. It's helped us to reduce meetings and stay in sync, allowing us to move faster. With Threads, we were able to 6x our company seamlessly with few growing pains. All new team members could learn context around decision making and culture in a way that wasn't possible with email or Slack. In a growing company, one of the first things to fall apart is effective communication. I can't imagine scaling discussion and decision-making across multiple offices and teams without Threads. 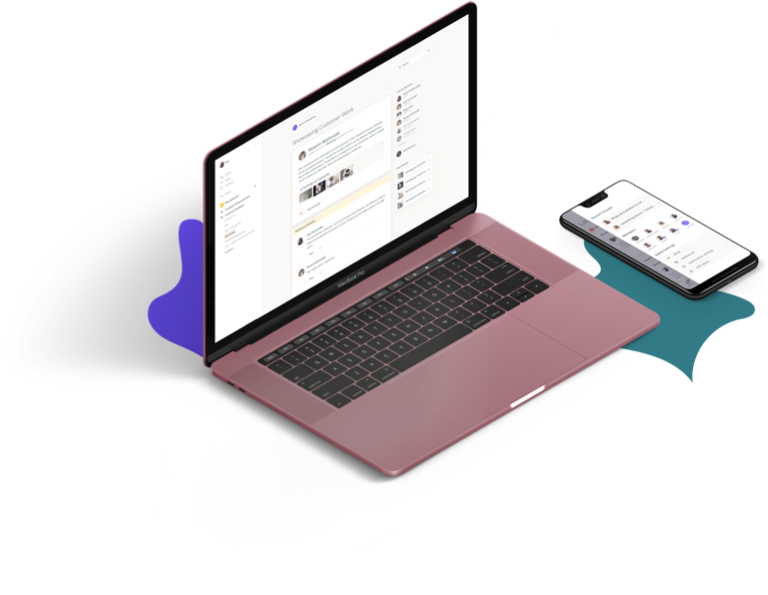 Threads helped bridge the gap between Slack and email, with an intuitive and discoverable solution. We used it to increase awareness across the company for new initiatives, improve collaboration on cross-functional projects and enhance information discovery to both current employees, and those we onboard in the future. Threads has been a game-changer for how our team makes decisions together. It filled a need that Slack and email couldn't and has become our hub for facilitating feedback, updating the organization on changes, and making sure everyone is on the same page. There's no better way to stay informed with your team and share knowledge within the company. Threads lets researchers and engineers share updates in a low-friction manner, and lets people discuss things in a collaborative, non-interruptive manner. The searchable archive keeps people on the same page, even months later. Get your team on Threads today and start moving forward, together.